Perfect for commercial dishwashers. 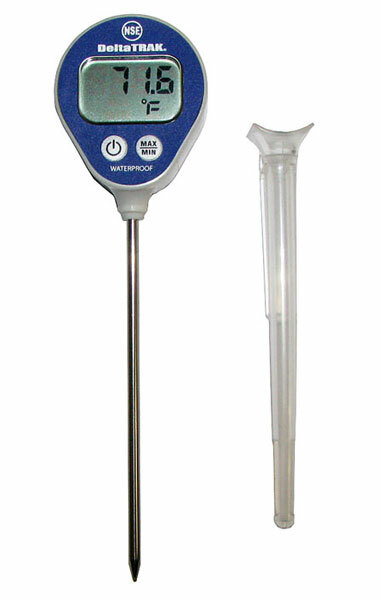 The DeltaTrak® Lollipop® waterproof thermometer records the highest temperature of a hi-temp dishwasher to verify the proper sanitation temperature has been reached. 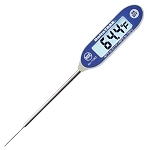 It is an ideal food thermometer for all commercial food service facilities and can be used to check the temperature of frozen and cooked products. It complies with the U.S. Public Health Services Food Code 4-203 and is certifiable HACCP tool.